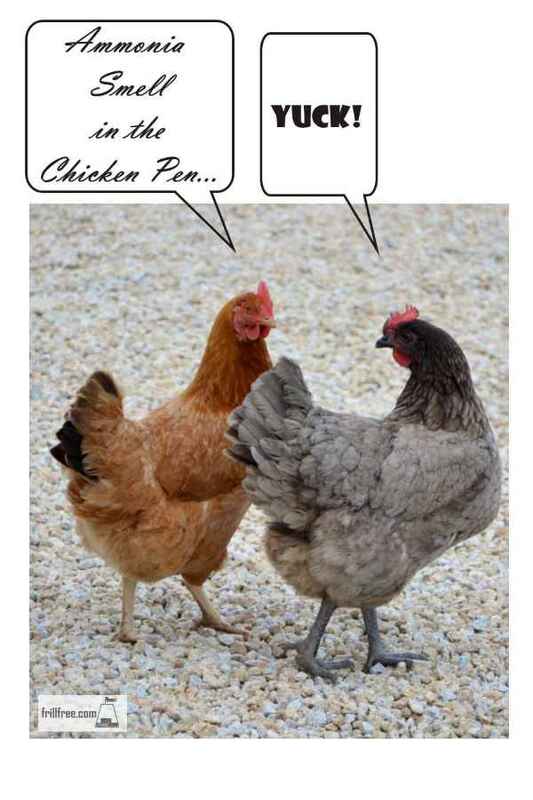 Ammonia Smell in the Chicken Pen? Things are going along fine in your chicken house, your birds are happy, maybe they have deep litter to scratch around in, everything is right with the world – the hens are happy and laying well, everyone is perky and cheerful. Then, one morning you go to let your birds out into the pen to scratch for bugs and stretch their wings, and you’re hit in the face with an acrid smell that makes your breath catch and your eyes water – it’s ammonia! That’s the odor of mismanagement, and it can cause some real problems, not just for you when you go into the chicken house, but for your birds that can’t escape it while they sleep. Ammonia can cause several problems for chickens; in some cases if it’s not dealt with you can lose birds to pneumonia and other respiratory problems. Even if it doesn't outright kill them, ammonia exposure will diminish egg production to almost nothing, and the birds will be miserable. Ammonia is given off from the first stages of decomposition of the chicken manure, and is worse if the birds have access to a lot of green material. It's important to remove the built up manure, or, if you're using the deep litter system, mix the manure into the leaves or shredded dry litter. Overfeeding your birds with a lot of vegetable scraps can also contribute to this, if they leave it to rot. Open the window and doors as much as possible, to vent the excess ammonia and replace it with fresh air. You can do this even in the winter; chickens, like all other birds are capable of withstanding low temperatures as long as they’re not wet. Stir up the deep litter, especially if it’s wet or under the perches where there is a thick deposit of chicken manure. Sprinkle the litter with a generous layer of wood ashes or dolomite lime to change the pH to more alkaline and less acid. Add more deep litter to the existing layer; the key is to be generous. The best things to use are chopped fall leaves, preferably dry or just damp, never wet. I also like dry grass clippings, in moderation, or straw or hay, especially if it has some alfalfa in it. Plan ahead during the summer and fall to bag some litter you will use during the winter. You can also spread some wood shavings – I don’t advise using sawdust, especially if you have young birds as they mistake it for grain, and eat it. This is best only used as a percentage of other litter, not for the birds so much, but for your compost when you clean out the coop in the spring – wood waste takes a long time to rot down, and ties up Nitrogen while it composts. Mixed with straw, leaves or other debris, this isn’t a problem. 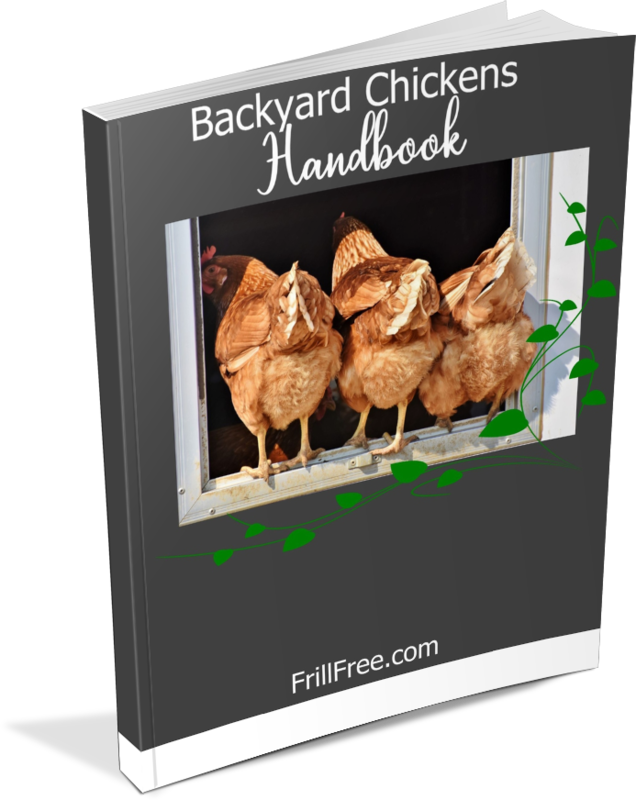 Try to ventilate your chicken house every day or two when the birds are out in the pen to scratch, and close it up again as night falls; both to protect the poultry from predators, and to retain some warmth, especially in cool climates or in the winter.